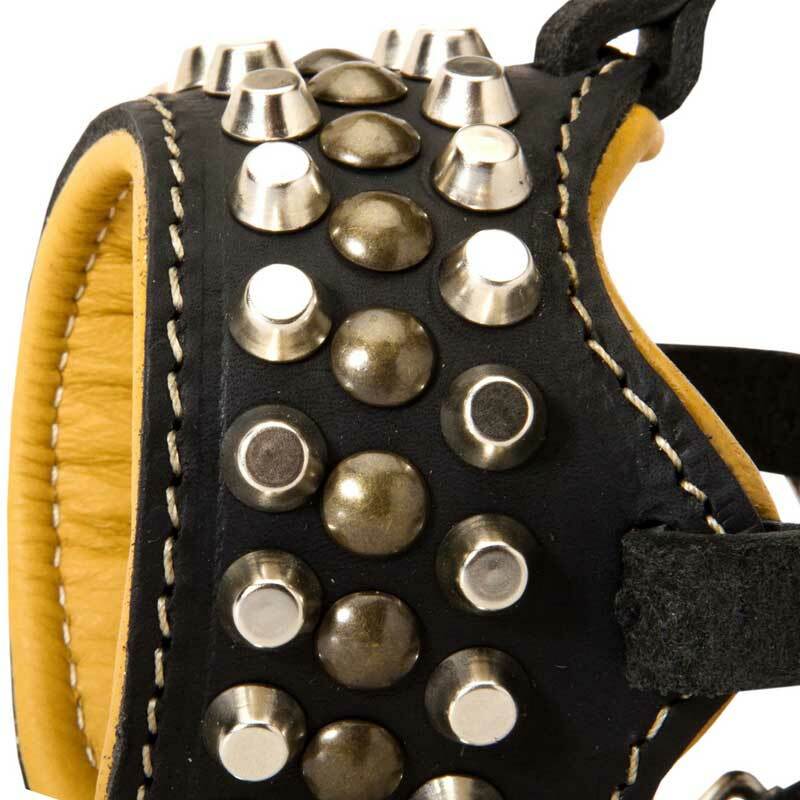 This Dog Muzzle is made of full grain natural leather and contains no toxic or allergic elements. Its ergonomic design allows your Rottweiler to breathe freely but restricts him from biting, chewing, barking and picking up dangerous things from the ground. This dog item has special interior Nappa padding. It prevents rubbing and irritation. Also it is possible to use this Muzzle in winter as it won’t stick to your dog’s snout. 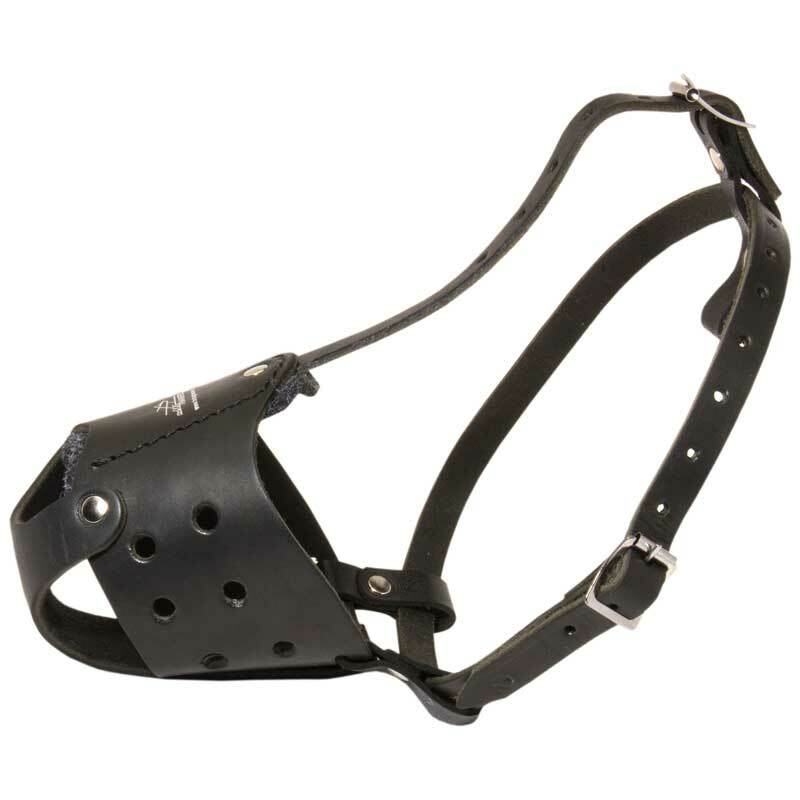 This Leather Dog Muzzle is equipped with three adjustable leather straps. They will allow you to tighten or loose this dog item the way you want. The unique feature of this Muzzle is its incredible design. It is decorated with 2 rows of nickel plated pyramids and 1 row of brass studs.